Osmango Distribution is striving to be the leading distributor of fresh, informative and entertaining media to Christian families throughout the world. We look for and identify what we consider to be the best content from both named studios and "under the radar" producers of Christian media, bringing the best of the harvest to a global audience. We've got a great selection of quality Christian entertainment. We have exclusive distribution rights to a number of award-winning programs and series, from the delightful animated Monster Truck Adventures to the Special Edition version of the 5 time Emmy award winning character development series Auto-B-Good. 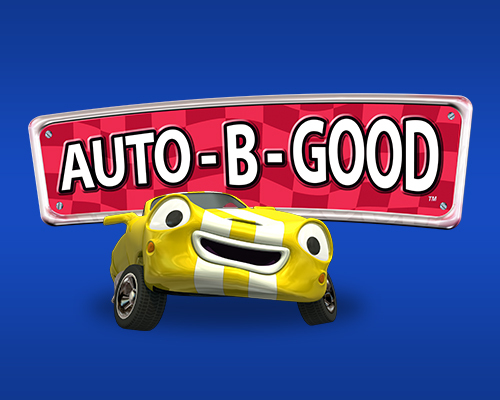 Auto-B-Good is a 5-time Emmy® award-winning animated series. This Dove-approved series will captivate, entertain, and teach great biblically based character lessons to children ages 5 to 9. Featuring awesome original Christian songs from Rick Altizer. 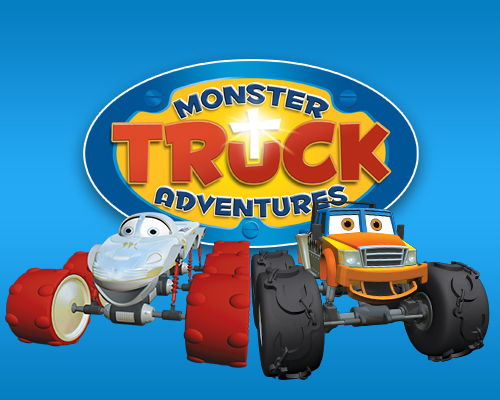 Monster Truck Adventures is a new animated series that entertains and teaches Biblical life lessons! Join Meteor and his friends as they roar over jumps and splash through gunk in everyday adventures at school and all over their hometown of Crushington Park. Great for kids ages 4 to 9! As a collective community we connect with these timeless songs, and with each generation the hymns sung by our forefathers are redefined, relived, and embraced. God's Greatest Hits makes the case as to why certain selections are the most powerful pieces of music ever written. Through breathtaking performances by 10 time Grammy winner Bobby McFerrin, a unique rendition of Amazing Grace by five time gospel Grammy winners The Blind Boys of Alabama, and star Canadian group Ken Whiteley and Friends, God's Greatest Hits successfully captures yet another generation by combining modern day artists with traditional pieces. 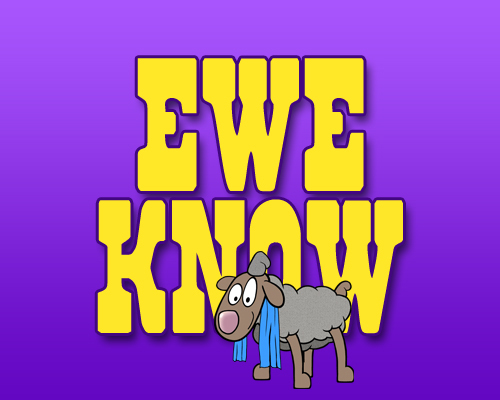 The Ewe Know series is full of irresistible, song-filled escapades featuring a woolly flock of sheep under the tender and wise care of the Great Shepherd. Although they mean well, our adventurers often stray into precarious situations which put them in the path of the wily, but inept, pack of wolves constantly on the prowl for a tasty meal. The ever-watchful eye of the Great Shepherd is always close by to steer them to the right path, protect them from harm, and help them learn valuable lessons. Osmango Distribution is a distributor of quality Christian DVDs, books and audio products. Committed to "bearing good fruit" with faith products, Osmango provides excellent service as a premier distributor of Christian resources to the global faith market. In addition to being a full-service distributor of quality Christian resources, is committed to reaching international Christian market channels. Osmango has an established network of international retailers, distributors and foreign language publishers for sales of Christian DVDs, books, music and other products. We sell both products and license rights all over the world. If you are a Christian store interested in carrying Osmango products, please contact us. We'd love to talk to you about what we offer. Osmango is interested in finding new and cutting edge Christian resources for the Christian global marketplace. If you have a film, DVD, book, music or other content that you would like us to consider, please contact us for our product submission guidelines for our distribution services. Kira and Eli are the newest members of the Guardian Force, a group of angel warriors sworn to protect the world from the powers of evil. Not yet full Guardians, the young duo still has a lot to learn, but when darkness descends over the city, the time for training is over. 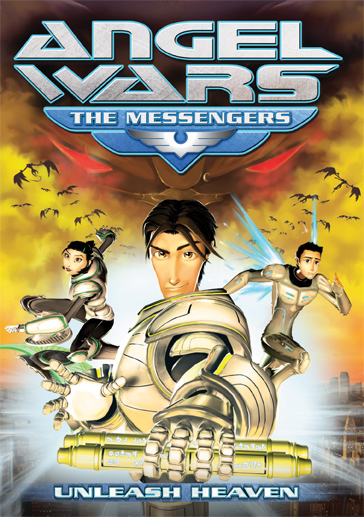 Faced with the responsibility of delivering hope to a lost city, they must learn to work together to drive back the soldiers of darkness and grow into the warriors they are destined to become. Osmango Distribution is a full-service business-to-business distribution company to all channels in the global Christian market including retailers, distributors, businesses, ministries, churches and educational outlets. In addition we offer rights to foreign language publishers. Connect with us on social media.Let us know what you think of our shows! Copyright ©Osmango. All rights reserved.